Milk is in very short supply at the moment as many of the goats are now dry in preparation for kidding in the spring. Please make sure that you reserve milk well in advance of markets as it is very unlikely that there will be any spare milk available for general sale at markets. Book early to avoid disappointment but be prepared that you may not get all that you ask for, especially if you are ordering large quantities. Well, we made it through another festive season and have landed on Xmas Eve still in one piece, though a little weary ... 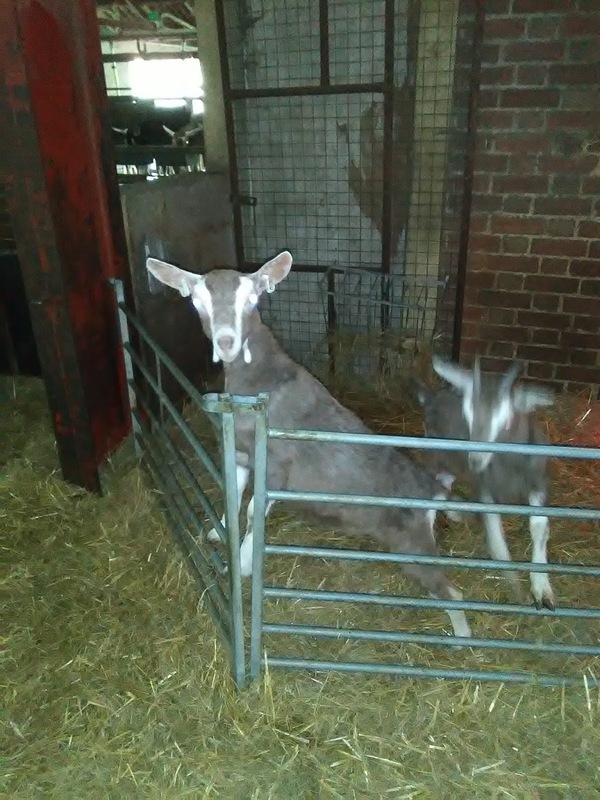 The dairy fairies have done a fabulous job of keeping our market stalls and counters stocked with yummy cheese, Joe has worked his little goatie socks off at Borough Market and the goats are completely oblivious to any of the chaos going on around them! And now the fridges are all empty, the last hampers have been delivered and I am tucking into some scrummylicious truffle Brie from our friends at Allsop & Walker .. You can never ever ever have too much cheese! And so it only remains for me to thank all our customers for their support over the past few weeks and to wish everyone a Very Merry Xmas!! 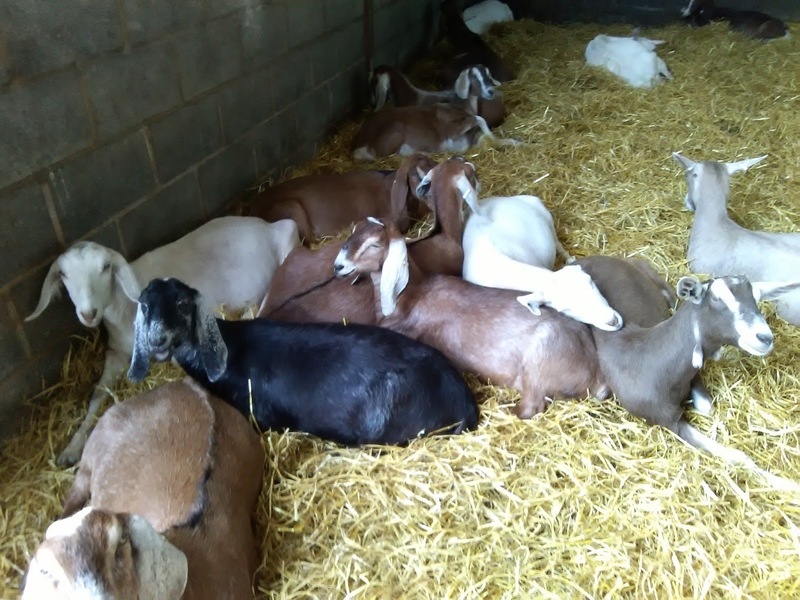 As is now traditional, I leave you with a delightful piece written by a goatkeeper in Wales. There is a very lovely ancient tradition that holds that on Christmas eve, at midnight, animals are given the power of speech. I’ve even heard it said that at midnight, all the animals sing songs of praise. Walking into the warm barn, coming in from the icy, windy dark outside, it’s easy to believe this lovely story. 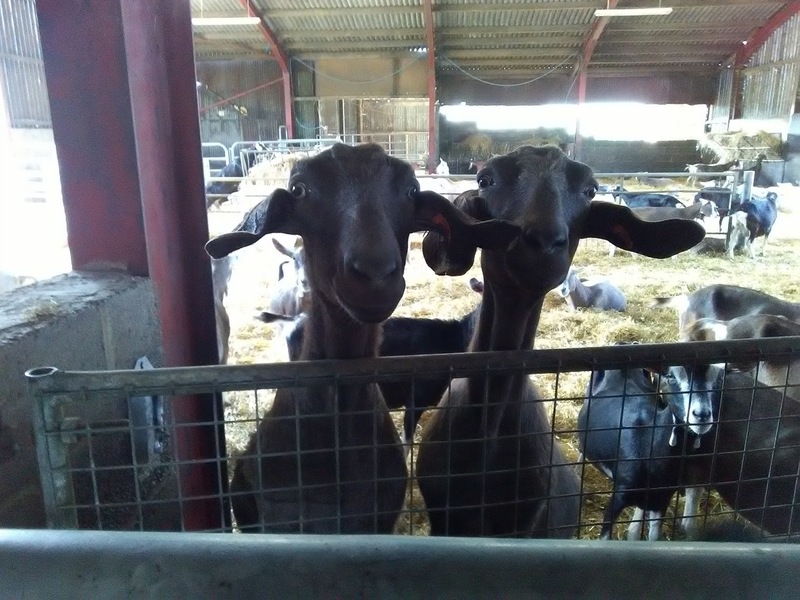 I look into the slender faces of my familiar, much loved goats, with their dark eyes and knowing expressions, and I can easily imagine them opening their mouths to sing at midnight. Glenda, Wandi, Patsi, Juliette – I know all their names, and I can tell them all apart, as identical as they might seem to a stranger. I can imagine just how each of their voices might sound, raised in the choir. Juliette rears up her hind legs to have her cheek scratched – just there, by the hinge of her jaw –and to rub her head lovingly against my shoulder. I come here every day, twice a day, to milk these goats and commune with these lovely animals, and they have taught me a thing or two about miracles. They have taught me about dedication, and patience, and discipline. Waking up at 6 am on a freezing morning, and going outside sounds like a punishment when I’m wrapped in my duvet. 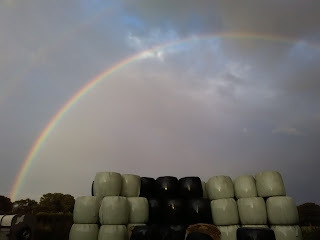 But as soon as I haul myself up and out, and into the barn, I realize the truth of it – coming into the barn is my reward. 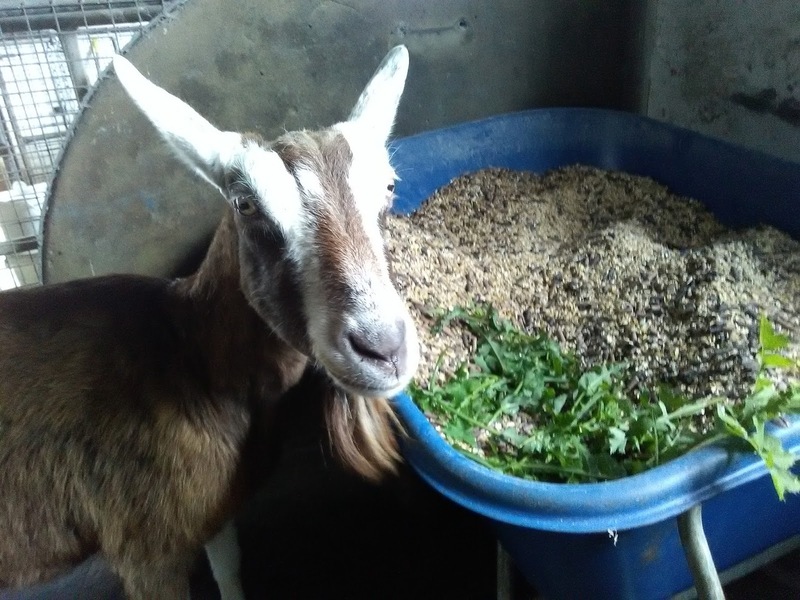 The teaching really is in the practice – putting my hands on the goats, tending them and receiving the healing milk that they give me, is all I need to know of magic. The Christian tradition holds that the king is born in midwinter. The pagan tradition too, speaks of rebirth in the time of darkness. It is a principle as old as man, when we were frightened and crouching in the caves, waiting for the light to return. Peasants have milked goats as long as humans have been around, and I follow this time-honored tradition with gratitude now, as the warm streams of milk hit my pail in a fragmented melody. In that song, I can hear everything I need to know about rebirth. 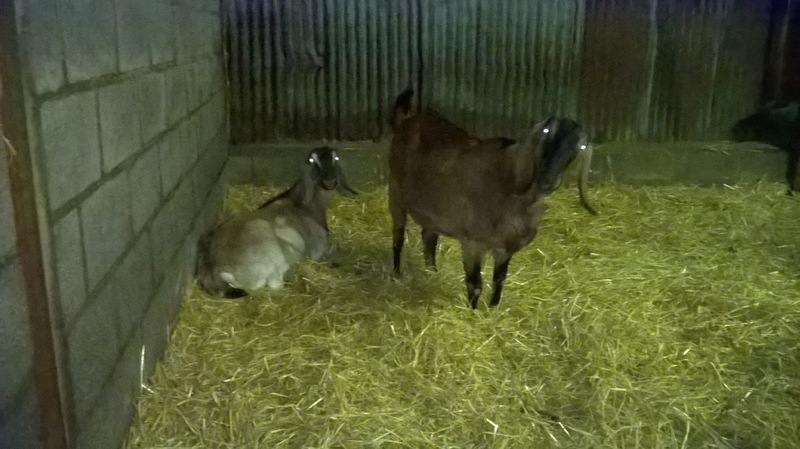 These goats are pregnant in the darkness, gestating new life. 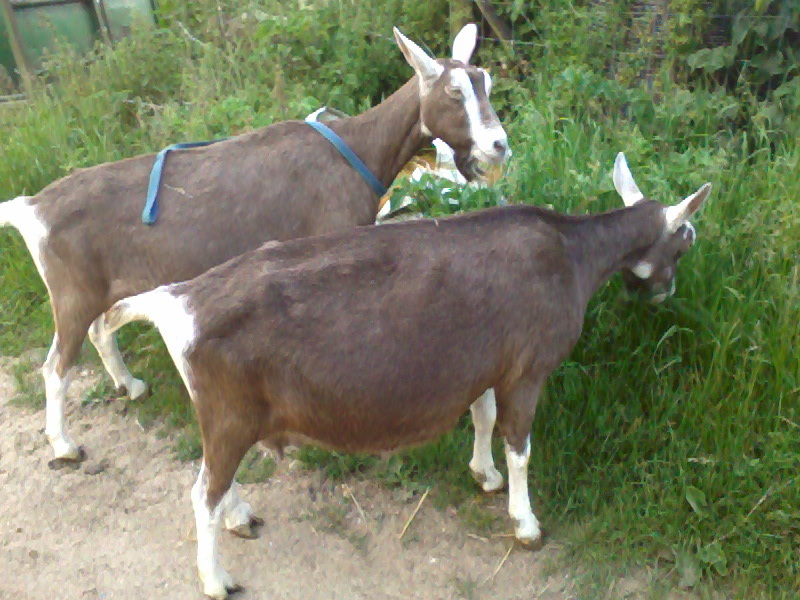 In the spring the kids will be born, and the milk will be freshened. The life force dies back, and blossoms up again. New life. It is a miracle that we few – who are lucky enough to tend the farm – learn over again with our hands and feet, arms and eyes and hearts, every year without fail. Christmas eve, in the darkness – the goats and I wait together in the silence. We wait for the rebirth that is certain. It is certain as life, certain as breath, as certain as the knowledge that someday, spring will come again and light will return to the world. 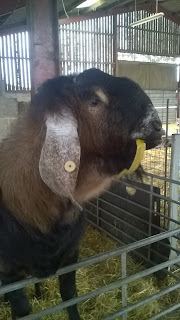 And so Wednesday morning duly arrived and straight after morning milking, I loaded our rather large and stinky hormone-driven Hugo into the trailer and set off for the veterinary surgery where Peter was scheduled to perform a little 'operation' on him. Poor Hugo! I had explained to him what was going to happen but I don't think he really understood! 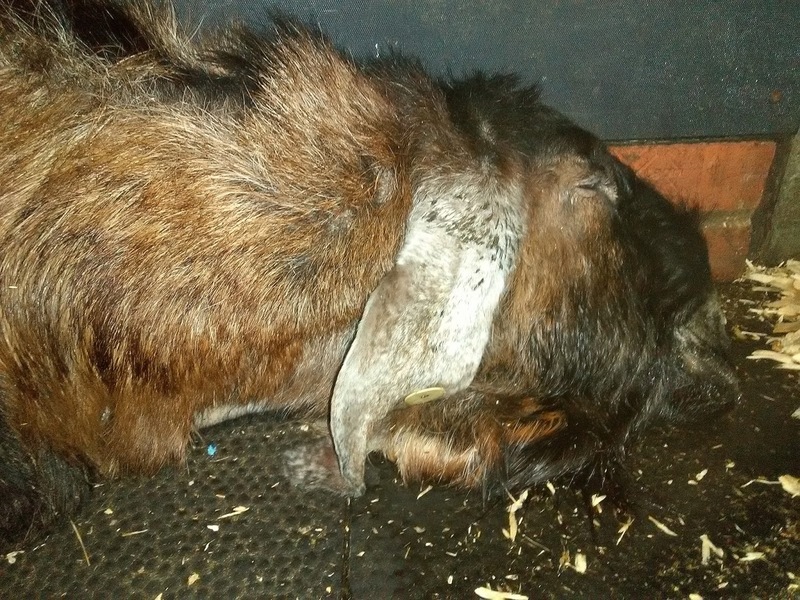 As I mentioned in the last post, we had taken the decision to have Hugo completely castrated for his own sanity and the safety of other goats in his area. It was not a decision that was taken lightly - any operation carries a risk and although Hugo is a big healthy chap, this kind of procedure under general anaesthetic can be quite dangerous. 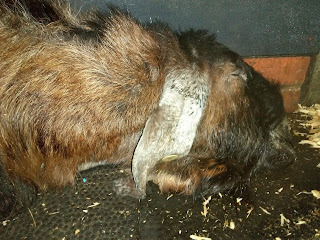 Having unloaded and weighed him (to calculate the anaesthetic dose), we moved him into one of the stables at the clinic where Peter gave him a couple of injections to sedate him. Very quickly, Hugo sank down into a deep sleep. The operation was swift and perfectly executed by a well-practised Peter and his team of nurses and having administered a final dose of painkillers, they then left Hugo to come round in his own time. And so I sat with his huge head in my lap, snoring and drooling away for almost 2 hours before he was finally conscious enough to haul himself to his feet. Turn your sound up and you can hear him gently snoring away! He is now recovering well at home and, when the hormones all finally work their way out of his system in a few weeks, he will be able to live permanently with all his old lady friends. Lucky old Hugo! 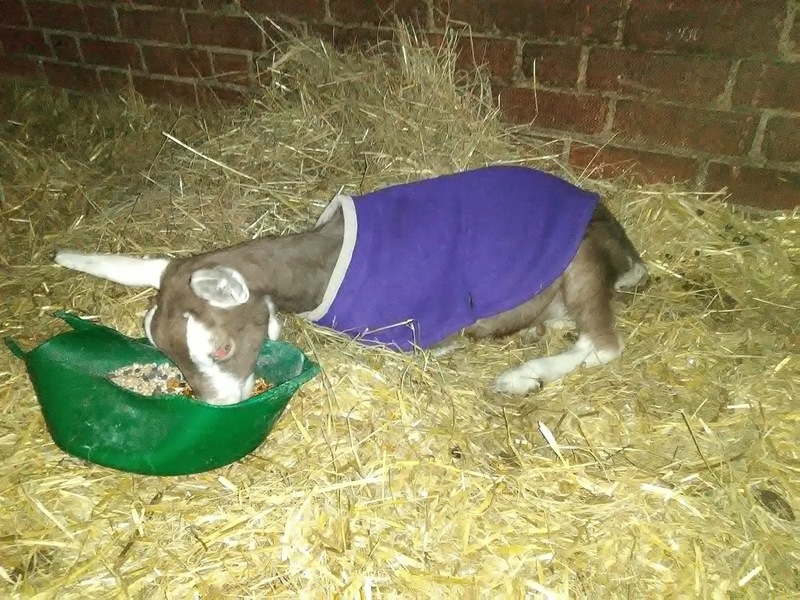 She has been living in a cosy corner with a nice warm fleecy jacket and a heat lamp and has been getting lots and lots of cuddles and treats and TLC ... All our efforts seem to have paid off as she is now much better and almost back to her usual cheeky little self .. Such a difference and so nice to see! Joe and I spent a very wet and stinky day some weeks ago moving all the working stud boys back up to the farm so that they could be closer to the girls ..
And here he is doing his very best to woo our lovely JoJo with his best chat-up lines .. But our young buck Hilton has now taken over and is proving to be very popular again with our ladies this year .. This is a group of girls vying for his attention! 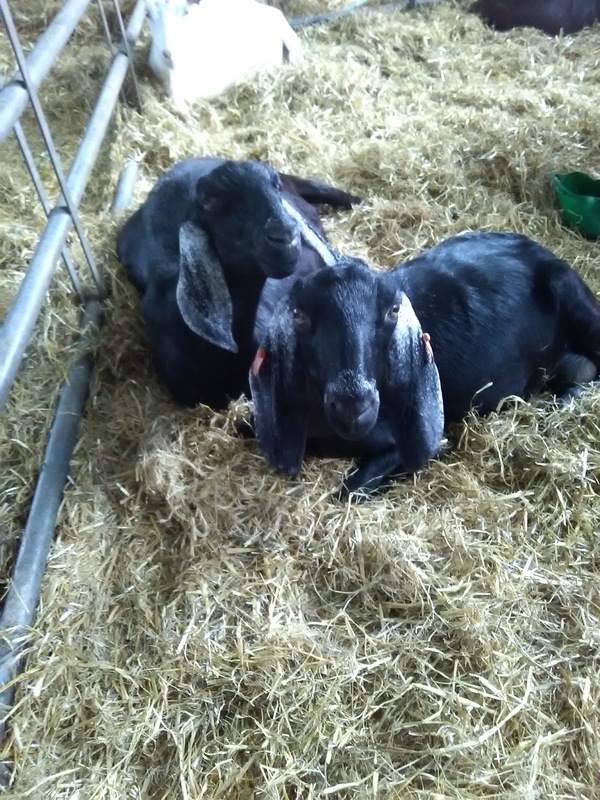 Two of his young sons, Percy and Wilbur, have also managed to escape a couple of times this week when their hormones got the better of them, so we may well have a few unexpected 'surprise' babies in the spring! Sadly, our lovely Hugo is getting older now and, understandably, he gets very frustrated at not being allowed in with the ladies all the time. He cannot live with the younger males as he tends to get quite violent with them and we are concerned that he may also manage to injure himself with his constant attempts at trying to knock over very large and heavy metal cattle gates which we have to use to keep him separated. For those of you who have followed our blog for several years, you may remember that Hugo came to us as a young chap from an older goatkeeper who was suffering from dementia. He was kept alone and did not receive a lot of attention and was quite a handful when he first arrived. It look a lot of TLC and persistence (and personal injury to yours truly!!) to get him settled and happy. In a more 'commercial' herd he would now be put to sleep as his working days are over but, as you know, we are not your average commercial herd. So .. David and I have taken the rather non-commercial decision to have Hugo castrated. This means that he will become a much calmer boy and we will then be able to either leave him in with the girls permanently (where he can no longer do any damage!) or with the younger stud boys. His hormones will completely disappear, he will not smell any more (for which David will be eternally grateful) and he should live a good few years being perfectly happy and content. 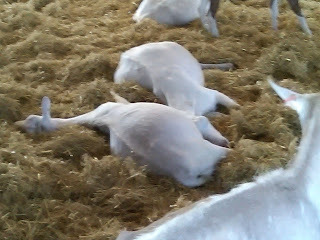 To those of you who have no concept of adult male goat behaviour, I understand that this may seem a little drastic! But, trust me .... there is nothing quite like a 120kg testosterone-fuelled male goat in season. His little op is scheduled for this coming Wednesday morning with our lovely vet Peter and so we all cross our fingers that everything will go well for our big Daddy Hugo! 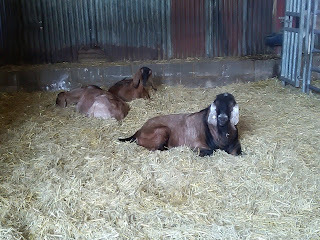 One of my favourite things is to wander into the goat shed and just watch all my lovely goatie girls. I am always particularly interested to see who has a special friend, who cuddles up next to whom and who prefers to be alone. It never fails to amuse and fascinate me .. why do certain goats become special friends? Most sisters will always stay together, although our dear old Betty and Wilma never used to sit together. But there was still a bond there which became very clear on the night Wilma died. 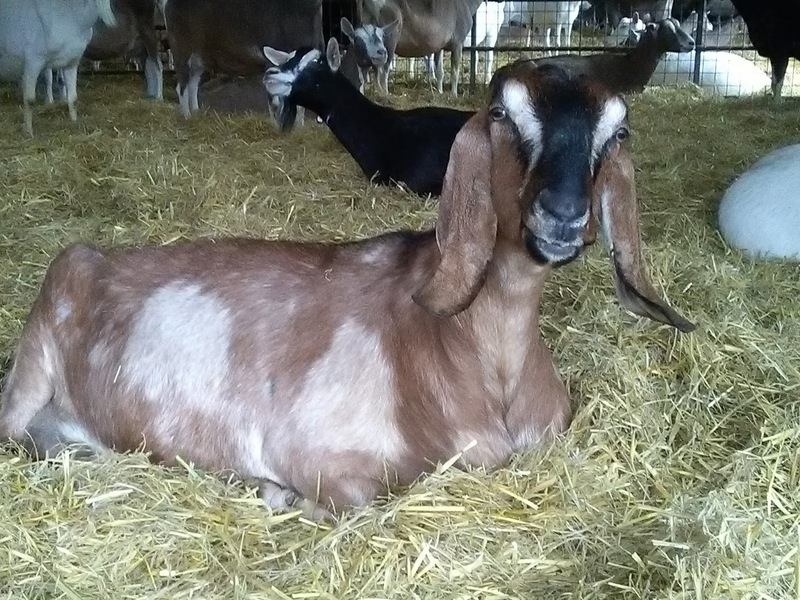 Having sat holding her for a few hours while she slipped peacefully away, I became aware of a goat standing behind me - Betty. And Betty spent the rest of the night lying right next to the gate where Wilma's body lay overnight before we moved her in the morning. Girls who have joined our herd from outside generally stay together - safety in numbers I think! Witness our beautiful big Nubians, Lara and Zenobia .. Although it is interesting to note that when Zenobia has been feeling a bit under the weather, she does not want to be anywhere near Lara. 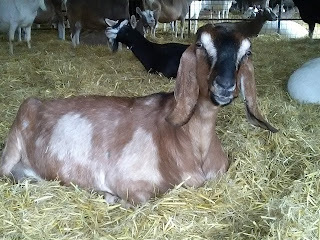 She takes up position on completely the opposite side of the barn and just stays alone until she feels better ... then she returns to her friend. 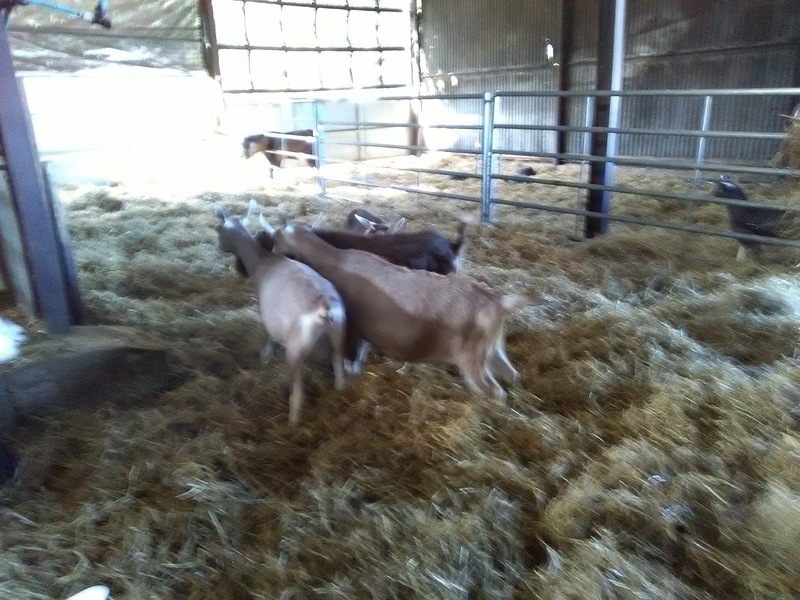 Incidentally, Zenobia is getting much braver at coming into the milking parlour on her own and happily leaves her friend behind. Lara was being particularly lazy yesterday and didn't even bother to get out of bed for her dinner .. The group of Mary goats generally all stay together in the same area ..
And of course, sisters Truffle and Mocha are totally inseparable .. the Chocolate Frogs! Almost like they are joined by a piece of string .. Where one goes, so does the other! 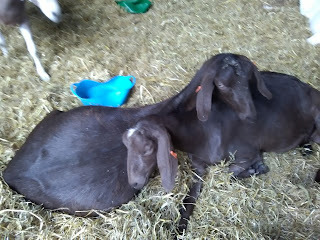 You may remember that our lovely JoJo (our first Anglo-Nubian) used to settle down with her daughter Cleo. Sadly, Cleo died earlier this year and JoJo has been a bit lost without her. Even Mel who helps us with morning milking was heard to remark that JoJo looked sad and hadn't been the same since she lost Cleo. To the left is JoJo and the younger goat in front of her is Pakora, one of her triplet daughters born a couple of years ago. Lovely to see! Hopefully this means that JoJo won't be on her own any more. Of course, there are always a few goaties who just prefer their own company. The most notable is our oldest girl Tammy who is not really a people person at all. Loves humans, hates other goats! 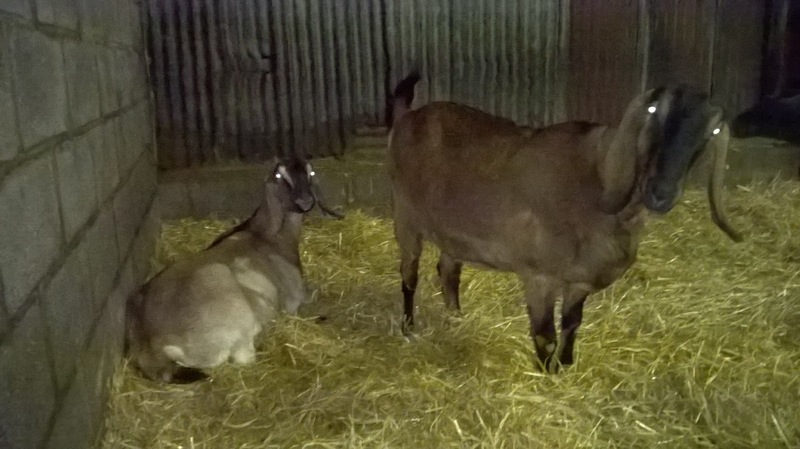 If you ever hear a grumpy growling noise in the goat shed, it is generally Tammy complaining that someone else is invading her personal space! 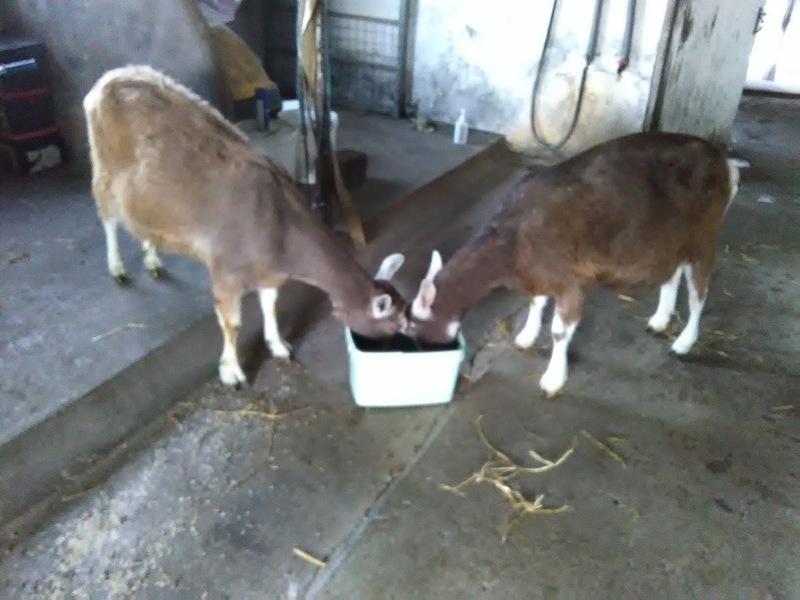 Although she did allow Betty to share her bucket at feeding time .. I suppose you're allowed to be a bit grumpy if you're over 14 years old! Well, they have really settled in and are truly part of the herd now. 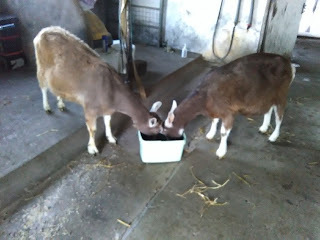 They do like their own space though and, when it comes to feeding time, they won't let any goats with 'normal' ears eat out of the same trough. Goats with long floppy ears are, apparently, fine to eat next to them! 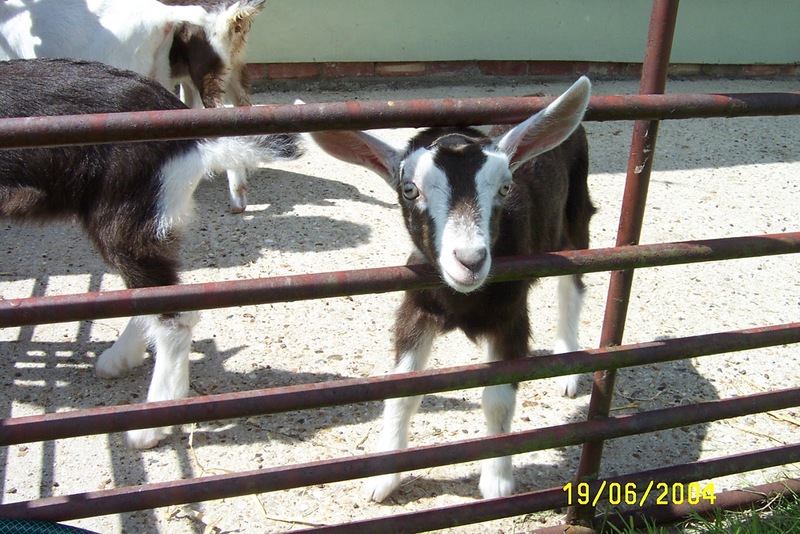 Goat racism ..
And, at the other end of the goatie spectrum, we have a little white chap who has been a bit poorly recently. Poor Skippy had a terrible chest infection and, although we managed to sort that out, he was looking very thin and sorry for himself. So, although all our babies are now weaned, I decided that he should be given a couple of bottles of milk every day to try and build him back up again. 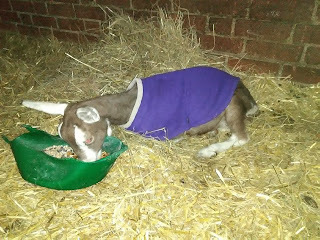 All those lovely natural probiotics and enzymes had to be good for a poorly wee goatie ..
Today was never going to be just another day. 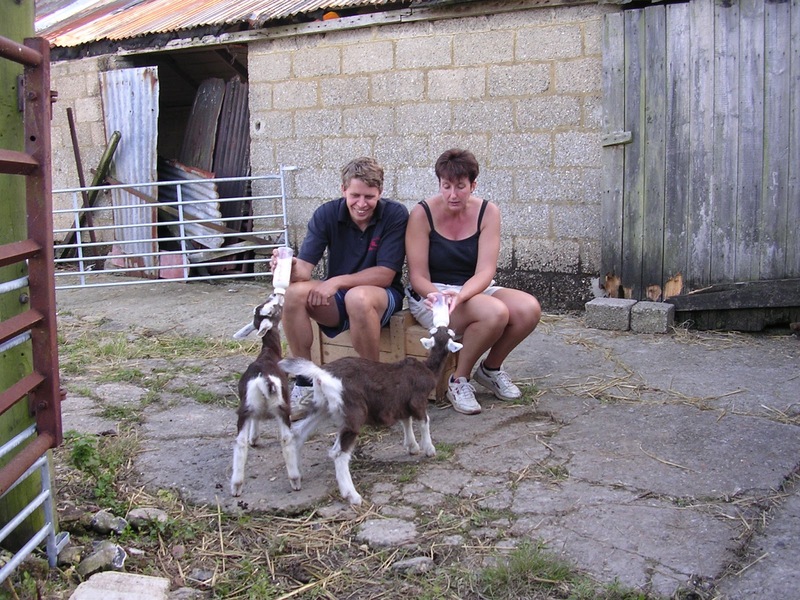 Today was the day that lovely vet Peter had been booked to come and send our dear old Betty goat to join her sister Wilma in goatie heaven. Over the past few weeks, Betty had become increasingly frail and, although still eating well and happy, we decided that she should be put to sleep before things got any worse. Her poor old legs were starting to stiffen up and you could feel her aches and pains whenever she tried to lie down or stand up. Twice this week we have found her lying on her side and unable to get herself up again. So, it was time to say goodbye. I had been hoping for a sunny day so that we could have one final walk together around the farm. The morning did not bode well, but the sun broke through in the early afternoon and so we set off for a short stroll around her favourite places to have a final snack of docks and thistles. We finished our walk with her favourite thing - a nice ripe banana - and then we waited patiently for Peter to arrive. But Betty did not make the journey on her own today as we also had to say goodbye to our lovely Dusty - the girlie with the bone tumour in her jaw. Coincidentally, Dusty was Betty's great-niece. So, they lie together in the tractor shed overnight, waiting to be taken away in the morning. It would be lovely to be able to bury Betty in one of her favourite spots but, sadly, this is not the harsh reality of farming. Betty is livestock and must be incinerated. All that will be left of her will be an official 'pink slip' and a whole bundle of memories. A couple of weeks later, we brought them back to Kent and that's when the fun began! Wilma was always the quiet dependable one. Betty was stroppy and much more 'in your face'! 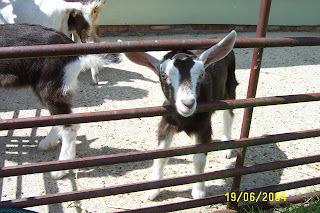 As a kid she was always inquisitive ..
And, as a goatling in the show ring, she was unbeatable .. In 2014 she celebrated her 10th birthday with a special birthday breakfast of fresh fruit, lovingly prepared by goatie Auntie Anita ..
A few years ago, both Betty and Wilma were quite poorly for a short while and so they got a lot of extra walks and grazing to try and build them up again ..
And so they continued, until we lost our beloved Wilma last year. 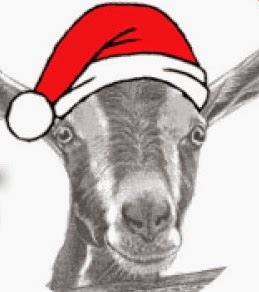 Betty always had the air of a wise old goat .. been there, seen it, done it all before. She was there right from the start and had seen a lot of changes through her 13 years with us. 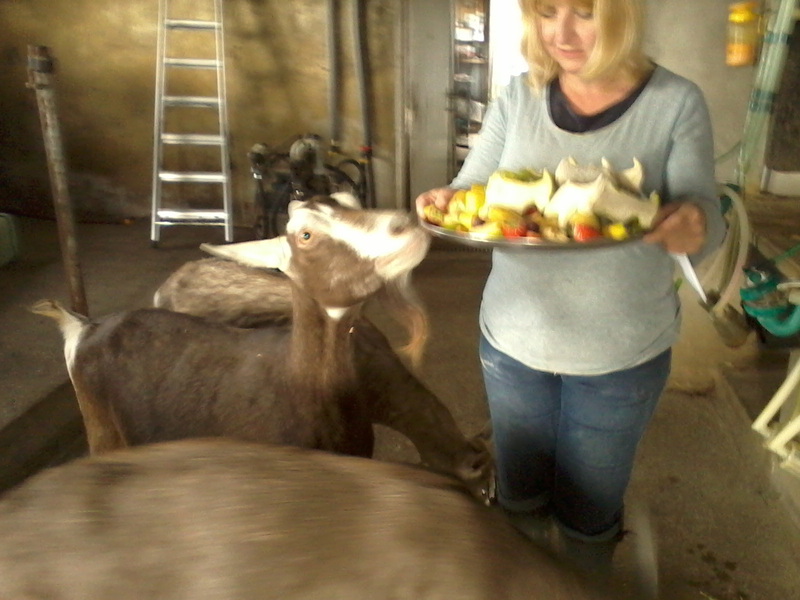 But even Betty goats don't live forever and so we sadly had to say goodbye. During milking this evening a young hare appeared in the field - something I have never seen before so close to the farm buildings. It approached the milking parlour and sat watching the goats. Then it disappeared, only to reappear the other side of the hedge in the other field. And later, when I was feeding the kids, it skipped across the yard. As it disappeared round the corner, the black clouds gave way to a rain shower and the most beautiful rainbow appeared in the sky ..
Strangely enough, hares have a special significance in Celtic mythology and the Celts considered that hares had supernatural powers and a link to the Otherworld. It's probably the over-active imagination of an emotional old goatkeeper but I like to think that this was Betty saying her final goodbye. RIP my beautiful old girl. And our lovely Dusty goat to keep you company.